It looks decently impressive, although I worry it'll end up in the same "pretty but flat" territory that many of these prestige projects often land in. I suspect this was due sooner or later. The Daisuki anime streaming service is shutting down, no doubt because most everything on it is available elsewhere, via services that already have tons of traffic and a technically superior platform. No tears shed on this end; to be honest, I'm not sure having more streaming services encourages the right kind of competition in this industry. Apparently response for the Studio Ghibli revival screenings that have been taking place across the country has been so strong, GKIDS has slotted in more of them. Dubbed, but even dubbed Ghibli is still Ghibli. That's how many theaters in mainland China will have the live-action Gintama movie booked into them. I'm somewhat surprised, but not entirely so — I'd heard Gintama was a big draw generally outside of Japan (that is, in the circles where it's known). Miki Koishikawa's parents have always been strange. While deeply caring for their daughter, they're prone to wasteful spending, oversleeping, and even taking extravagant trips. And their latest trip to Hawaii has brought back something truly outrageous: love. Not for each other, but for a different couple entirely! 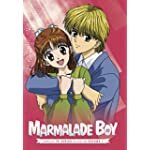 With her parents planning to divorce and swap partners with the Matsuuras, Miki's life is turned upside down with a new, highly abnormal family all living together in one house. To top it off, the Matsuuras have a son named Yuu exactly Miki's age, and he's too gorgeous for words. For better or for worse, this is Miki's life now, but adjusting won't be easy when jealous rivals and old flames enter the mix! Japan is slowly becoming something like one big city-state, with the majority of the population centered in an urban belt that runs through the cluster of Tokyo, Osaka, and Nagoya, all located relatively near each other, along the route of Japan’s bullet train. How much change you got in the couch cushions? You'll need to scrape together more than a few fistfuls to buy this newly announced Mugen statuette. $450 is a lot of pennies. If you have a little less money to spend (only $89! ), how about Yang Wenli from Legend of the Galactic Heroes? Nice to see the classics getting their day in the sun.